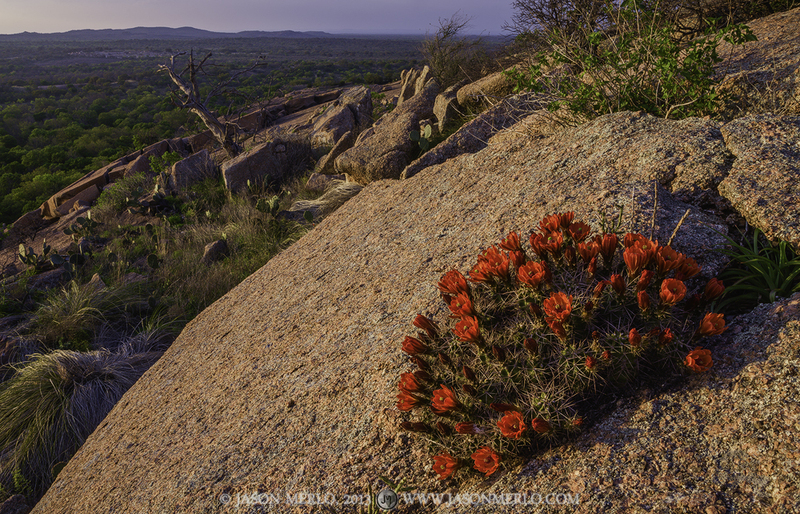 A claret cup cactus in bloom growing in the crack of a boulder on Little Rock at sunset at Enchanted Rock State Natural Area in Llano County, Texas. I didn't know cacti could have beautiful names like Claret Cup. Looking at the flowers, though, you can immediately see the logic and poetry behind it. Isn't this a stunning photo? I discovered Jason Merlo when one of his photos of the painted churches of Texas was featured on Traces of Texas on Facebook. Check Jason's galleries to see more gorgous photos of the beautiful state of Texas. He offers prints for sale too.